Why don't you go lower? Fender rolled? Rub on slam? i dont go lower because the horsepower freaks exhaust is the lowest part of the car. i dd this car and like it to remain practical. there are still places i cannot get into. the roads in idaho are not the best either. some pretty awesome looking cars in here guys!! very impressed! 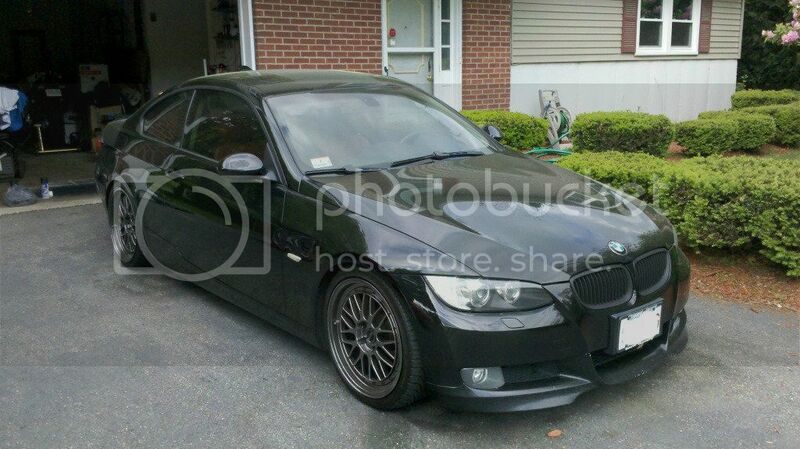 E90 bmw 335xi CCW, Kw, Afe, Cpe, Ets, Hpf, Cobb. Hellion TwinTurbo 61mm "twins", modmax pistons, built navigator heads, comp custom grind cams (DOHC), 9inch rear Detroit locker 35spline axels. Damn, makes me wanna slam my whip! 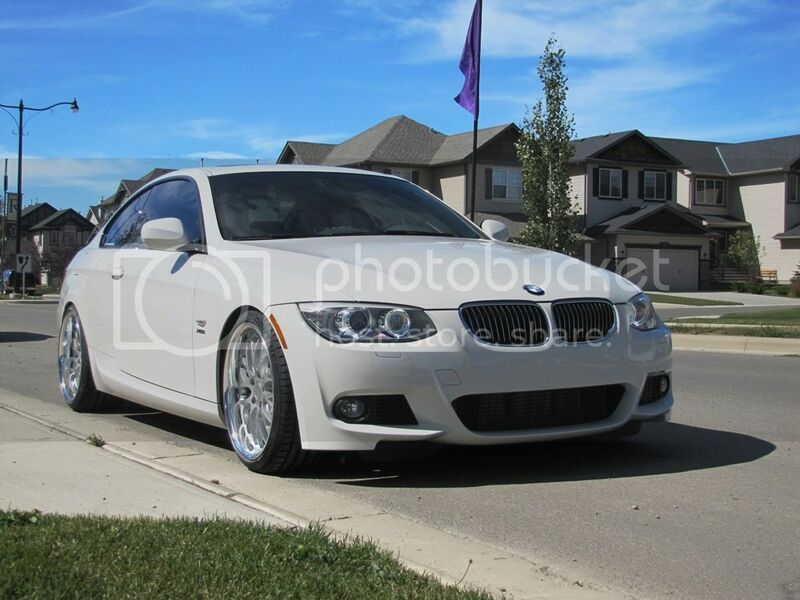 2008 335xi 2 door 6 speed manual!!!! Can't. V1's are all the way down, so nah, I'm good. Wait, you have an xi now?? Last edited by mashimarho; 01-12-2013 at 07:44 PM. If u remove the bump stop inside Ur shock, at the lowest setting, Ur car should be easily 1/2 to 3/4" lower. I tried it, I ran to a similar problem when I lower mine all the way down and the car didn't go any lower but has an extreme rough ride feel in the front and it was because the shock was just sitting on top of the bump stop. I cut it off by half, raise the car back up 1/2" and now it extremely comfortable. Just bottom out (hitting the bump stop) when I hit big big dips with 3 people or more in the car. But, I'm not sure what offset to look into. I am rolling my fenders, adjusting camber, and buying bump stops for my KW V3. What do you think? I also have a BBK, so I may need spacers??? A little more but shouldn't be a problem to me since my fender is cut band shaved really good already. Are you dropped almost all the way? Yes, almost but not "slammed".